Eva's travel blog – Wherever you go, go with all your heart. Oh, how exciting, I am nominated for a Liebster Award! First of all, thanks Neha and Abhishek! I’m very honored to receive this nomination. For some weeks now, I have seen fellow blogs being nominated and it makes me so happy that I can join the club now. Let me introduce Neha and Abhishek from Revolving Compass: They are, as they say on their blog, a techie couple enthusiastic for traveling which is a passion that they share. First as a couple and now together with their toddler they have been exploring wonderful places in India for over 3 years! Please keep these wonderful posts coming, I wish you all the best for your future adventures! 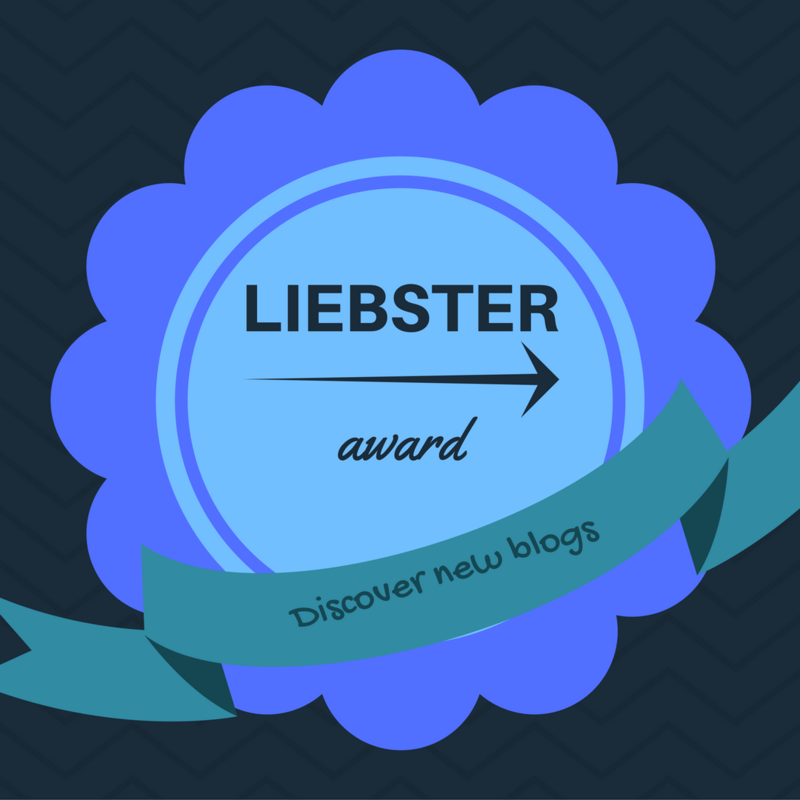 Now, You’ll probably ask: What is the Liebster Award? 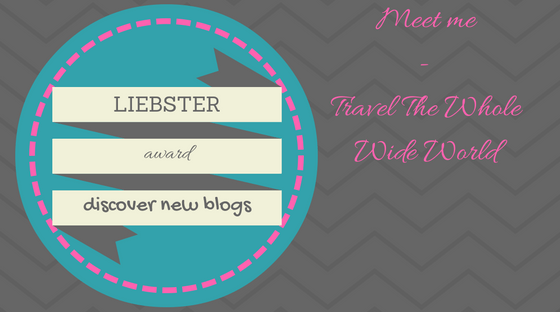 The Liebster Award is a way of promoting and recognizing fellow bloggers, (on the internet) for their efforts and accomplishments in becoming a blogger. Doesn’t that sound just great?! Bloggers being supportive of other bloggers is just a wonderful and generous thing. As Neha and Abhishek mentioned in their entry, the name of the award – Liebster – comes from my homecountry – Germany – and it means: The dearest and kindest. And that it just is, the dearest and kindest way to connect fellow new bloggers in the industry, to give them exposure and the recognition they earn for sharing their stories with the world. Thanks for the great set of questions, guys! I’ll do my best answering them! It has been such a great week for me reflecting on all your questions. Actually, I was 15 when I took my first flight and traveled to another continent, so I’d say I started traveling extremely late. All my other friends had been traveling way before that age. At the same time, I suppose that it impressed me even more than others who had been traveling a lot before. I remember sitting in the plane back to Germany (from New York City) at that time, crying because I was overflowing with emotions: Happiness because I just had so many great days and sadness because I had to leave and go back to school. That moment I promised myself to keep on exploring different countries and cultures. Which travel destination is the closest to your heart and why? Definitely the USA: see the story above. Also, I spent a year living in Ohio and have so many fond memories of that time. I have also visited a couple of places there already (such as New York, Boston, San Francisco, Seattle and Portland) and was always so lucky to meet great new people or catch up with old friends. When I’m there, it only takes a couple of hours and I feel at home. What fuels the motivation behind your travel blog? At first, I wanted to share my adventures with friends and families and the blog served as a convenient method to let them know that I was still alive whenever I was abroad on a solo trip. Then I realized that I have so many stories to share and tell with others and I decided to make this blog more public to inspire others that they can do it as well. Traveling or traveling alone is fun, not scary! I’m very passionate about the places I have been and I love to inspire and share my ideas or share my advice. I also enjoy writing in English, even though German would be an easier choice. I’m Munich-based and I have had visitors from different countries now, which was when I realized that I should also share some tipps and tricks about Munich. It’s a wonderful city! Where do you envision your blog a couple of years down the line? I want it to be filled with many new adventures, destinations and tricks for everyone out there. Plus, I’d love to be able to make people go out and travel more. I also want to keep up adding more photos because apparently the move from the free wordpress site deleted them all. How do you combat home sickness after days of travel? This is actually a subject that I have been thinking about a lot lately. I usually try to stay busy and go out. Take a walk, explore, calm myself down. Keeping in touch with friends and family can help as well. But all in all, I’d say that the most important part is to remember that homesickness or loneliness is a normal part of being “on the road” and that you can allow yourself to be lazy or sad or anything you want to be. It’s important to be at peace with yourself and what you feel when you are traveling. What is the most important thing you have learnt during your travel journey? For me, the most important thing that I learnt was and still is that you can’t plan everything. I’m a pretty organised person when I am at home and when I write my dissertation, so of course I try to be as prepared as possible when traveling. I’ve learnt over the last couple of years that I have to let go and be more spontaneous. What was your toughest travel experience so far? I haven’t had many bad experiences, luckily, compared to many other travelers. The toughest experience thus was probably being robbed in my dorm by the girls I shared the place with. It sucked pretty bad and almost ruined a perfectly pleasant stay in San Francisco. Plus, I felt so stupid and bad loosing all the cash. Do you have a bucket list that you are ticking off slowly? I do have a very long bucket list. It keeps growing and growing, especially now that I am home-stuck for a little while. Many destinations on my bucket list are far away, such as Canada, Japan and New Zealand. Other than that, I have many different cities that I want to visit for the first time or for a second time, such as Prague (going there in January now! ), London, Paris, Rome or New York City. What was the most heart touching experience you had during your travel ? I’m always touched when I meet nice people on my trips. Since I am usually traveling on my own, these short or long encounters always make me feel happy. On my last trip I took the train from Portland, OR, to San Francisco, CA. When I entered, all window seats were unfortunately taken, but the woman next to me switched seats with me for a couple of hours so that I was able to enjoy the view. She told me that I was a guest and should enjoy my trip and that I would do the same in Germany for her. It was incredibly sweet of her! Given a chance to travel day in and day out, would you grab it? Probably not – to give the short answer. I love traveling, but a huge and wonderful part for me is coming home which requires having a homebase somewhere. For me, traveling is giving myself a timeout, being more spontaneous and having an adventure on my own. I’m investing a lot of time and energy into my studies which I am also very passionate about and could never give up completely! What would be your one liner for someone who wants to start travel blogging? It’s my favorite saying and the tag line of my blog: “Wherever you go, go with all your heart.” (Confucius). In a longer version: Go out and do it, but do it with all your heart and be yourself. Congratulations! I can’t wait all of your answers to my questions! What is your favorite place in your hometown or home country? What was the best experience that you had while traveling? Which travel tip would you share with a new traveler? What inspires you to travel and blog? How has your travel style changed as compared to when you just started traveling? What is the one thing that always makes you cringe when you are traveling abroad? What do you struggle with as a travel blogger? Guys, San Francisco was truly amazing. It has been almost three months since I have been back to Germany and I am still missing being there or rather being a traveler. It’s a serious case of wanderlust or travel addiction. Back home things got crazy again very fast, that I came back with a severe cold didn’t help, too. I’ve been wanting to write this post for the last three months, but it never felt right: I was always too tired, too unfocused, too lazy. Does it even make sense to write about something that has happened so long ago I wondered a couple of times? Shouldn’t I just skip this post and focus on something else (maybe my PhD thesis)? Do I even remember enough of what I did there to write about it? Nonetheless, I really want to share my San Francisco memories with you! Maybe I have forgotten some things, some details, but maybe I have gained some distance or a different perspective of my stay there. This post will certainly be different to all the other posts before that I typed on my phone in my bed, just to share some pictures and some of my adventures. This quite long introduction is probably proof enough! Again: San Francisco was awesome – it had its ups and downs, but all the ups made the downs feel small and unimportant. I arrived in San Francisco bright and early after a very long and cold train ride (17 hrs!!!). The first impressions were overshadowed by my exhaustion – all I really wanted was a hot shower, sleep and some breakfast. It took me a while to get used to big city life again, after Portland San Francisco was loud and busy. I walked to my hostel which was a couple of blocks away, simply because I was too tired to find out which bus to take and afraid to fall asleep while on it. The staff at my hostel was generous enough to let me take a shower and store my luggage so that I could go for a walk and get some breakfast. Most expensive pancakes that I ever had, but it felt good to get some food! The first day was then really uneventful: I checked in, met up with my friend Julia who had arrived from Portland the day before and unpacked my packages from amazon that I had ordered. I also made plans with my friend for the next day. Since it was my third stay in San Francisco, I didn’t have many fixed plans beforehand, which can be very relaxing and made me feel adventurous. My friend Johnathan, who is from San Francisco, made me a google map with fun places to visit (if you read this, thanks again!). The biggest down happened after my first night in San Francisco. I was stupid and naive enough to pack my daybag the night before and when my alarm clock sounded, I jumped out of bed and into the shower. Either during the night or at some time during my shower one of the three girls who stayed in my dorm opened my bag and stole all my money. I only found out later when after a free tour I wanted to tip the tour guide and simply couldn’t. Turned out that whoever did this took all my cash and thankfully left my other valuables such as my credit card, passport and camera! Very stupid of me – I should have locked it away – and very mean of whoever did this. It took me a few hours and a phone call home to get over this. After some thinking I decided against calling the police and only reported it to the hostel front desk because I didn’t want to spend any more time dealing with this. Lesson learned: Always lock your stuff away because people can be mean! Pretty much everything else was great. I’ll do better explaining with photos! And I’ll try to explain some of the things deeper later. I really plan on doing that because my stay in Portland and Seattle still seemed too short as well! Very non-San Francisco related, but I genuinely enjoyed playing Pokémon Go which I had downloaded there. San Francisco was full of Pokestops and other people playing on Union Square or on every corner of the city. You would know who played by looking at them and people would come up and ask which team you joined. I visited the SFMOMA where I had been in 2010 before it closed and now right after it opened. I originally planned to spend only 2 hours there which is my personal max. time in a museum before my brain freezes and I start walking around aimlessly. After 3 hours I looked at my watch and was surprised how fast the time had flown by. On the day that my money got stolen I visited the de Young Museum. It calmed me down and cheered me up at the same time. It’s surprising what art can do to you! I’ll leave it with this revelation for today and I will continue this post next week: It is all too much for one post! Travel The Whole Wide World contains affiliate links throughout the site. If you choose to purchase items through these links, I will earn a small commission at no extra cost to you. These commissions will help me to expand my blog further. Thanks!